Cambrian Truck Centre is a full sales, parts and service dealer for Western Star Trucks, Mitsubishi Fuso Trucks and Manac Trailers. We are also a full parts and service dealer for Sterling Trucks. Our very well trained sales staff, offer over 40 years of truck sales experience and is supported by the manufacturers engineering groups as well as, a network of suppliers and financial services to help you make the right decision. Driving a truck is one thing, running a business is another. At Cambrian Truck Centre we understand both. Let us have the chance to earn your trust. We offer a wide range of heavy and medium duty trucks, from class 3 to class 8. 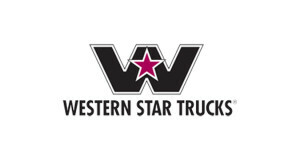 Starting with the Western Star Truck, we have several specs available for any rugged vocational spec you desire or you can also enjoy the comfort of our Premium Highway Truck, Serious Trucks, for Serious Drivers. 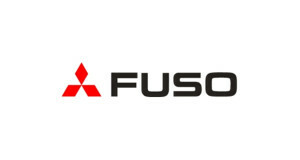 Our Mitsubishi Fuso truck, offers a wide range of cost effective, dependable and practical trucks. From 4×4 to quad cab, we have a truck to suite your needs. Or, if it’s a trailer you need to get the job done, Manac offers a broad range of applications from Vans, “B” Trains, Logging, Semi-Dumps and more. To compliment our sales group, we have 8 factory trained technicians and 4 factory trained parts specialists, backed by an extensive parts inventory. We are open 5 days a week with our Monday to Friday service operation running from 7am to 12 midnight. We are there when you need us! Our technicians are factory trained to work on Detroit, Mercedes, Cummins and Mitsubishi diesel engines. They are also factory trained, to work on Allison Transmissions, Fuller transmissions and Meritor axles. We also offer full truck and trailer wheel alignments.